That is my first impression when I saw these cotton balls. Somsatang is a korean language for cotton candy (also one of Bigbang's Daesung song~). 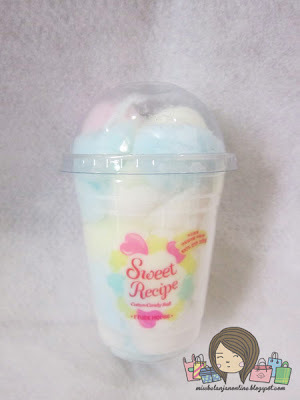 I got this cute product as a giveaway gift from Kiki. I must admit that Etude House is very very very genius when It comes to product's packaging. I mean, who on earth would think to make a cotton ball packaging looks like a candy? The cotton balls are stored in a plastic glass. You can easily see the color from outside the packaging. 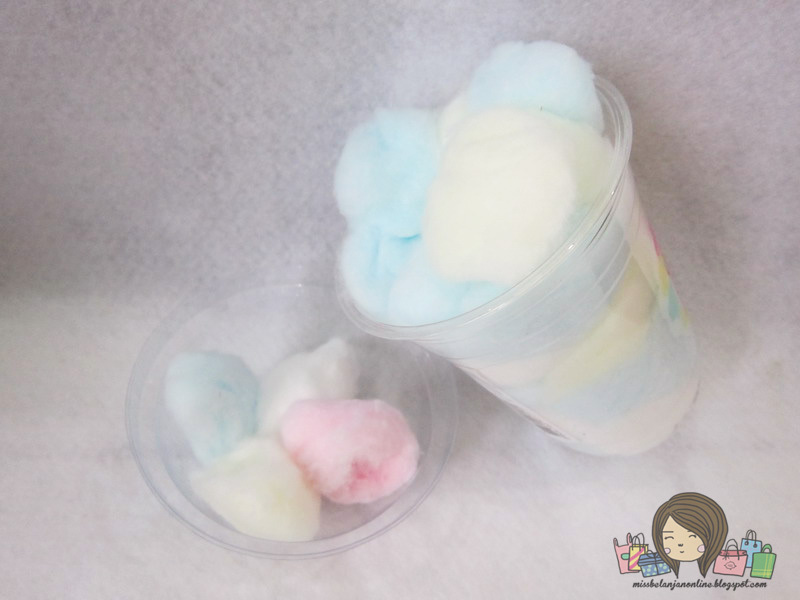 There are 4 different colors for the cotton balls, white, blue, yellow and pink. 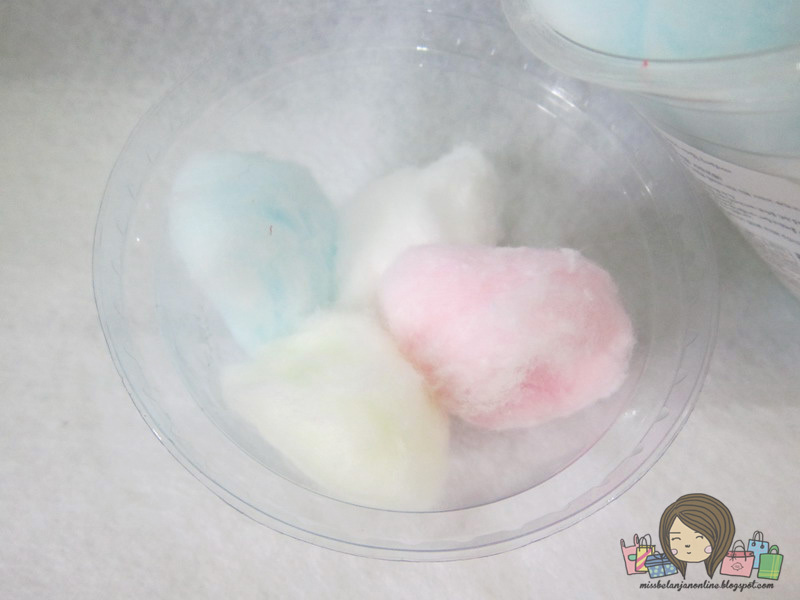 What disappointed me is, why they only give 2 cotton balls with pink color :( Mostly the color of the cottons are white. I'm seriously amazed with this cotton balls. It really absorb nail remover perfectly. Usually when I removed my nail polish after 2 or 3 fingers, my cotton will become dry. But, this cotton is different. After some times, it still soaked with a lot of liquid. I only need 1 little cotton to remove all my nail polish from my 10 fingers~ wow.. 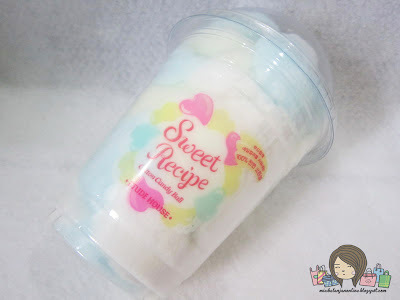 Okay, maybe some people will say the price is quite expensive (like me, before I try this cuties)_for a cotton ball, but hey.. see the benefits! In 1 glass contains at least 30 cottons and I only need 1 cotton for my 10 fingers. If I change my nail polish once a week, that means I can use this somsatang for at least 7 months~ I think it is quite affordable plus you make less trash by using this cotton ball. Mak! lucuuu sekaliiii, kualitas memang sebanding harganya lah ya..
kayaknya kalo aku beli gabakal ak pake deh.. Very nice! It absorves the nail remover easily indeed ^-^ also, the packaging is freaking cute! Dear are these only for nail polish only? These are pre-soaked?